Got up at 0530 (what does the 0 stand for? Oh my god it's early! 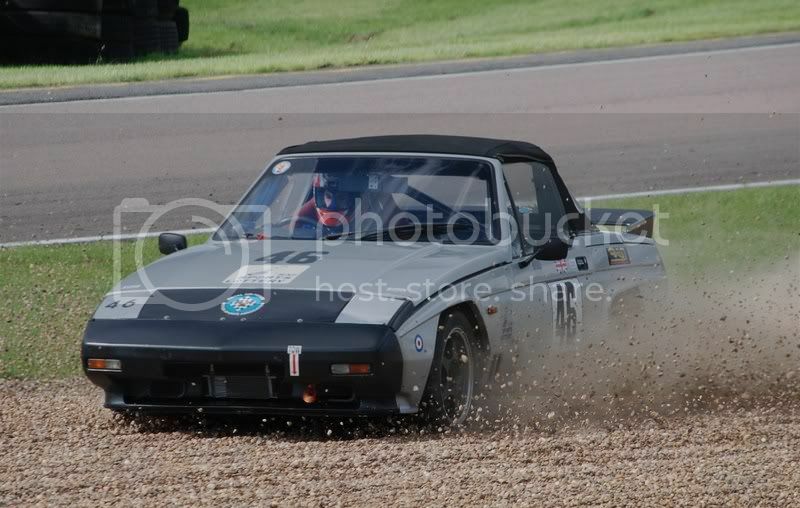 ), drove 2 and a half hours to Mallory. Whipped the dizzy out and re-timed the engine, started first time! Made a few adjustments to ride height and tyre pressures, plus torqued all the wheel nuts up (lesson learnt on that one ). Not surprising you popped a hose at 20psi!! Found an alternative to peening/whatever that proper external groove is called (oliving?) is four equally spaced blobs of weld around the end - assuming its steel pipe. Crying shame on the suspension/steering - but at least you're both still in one piece. be interesting to see whats failed (not in a morbid way mate, but R&D etc). Will have a good look tomorrow Craig. good photo Raz, albeit not the sort im sure youd like. 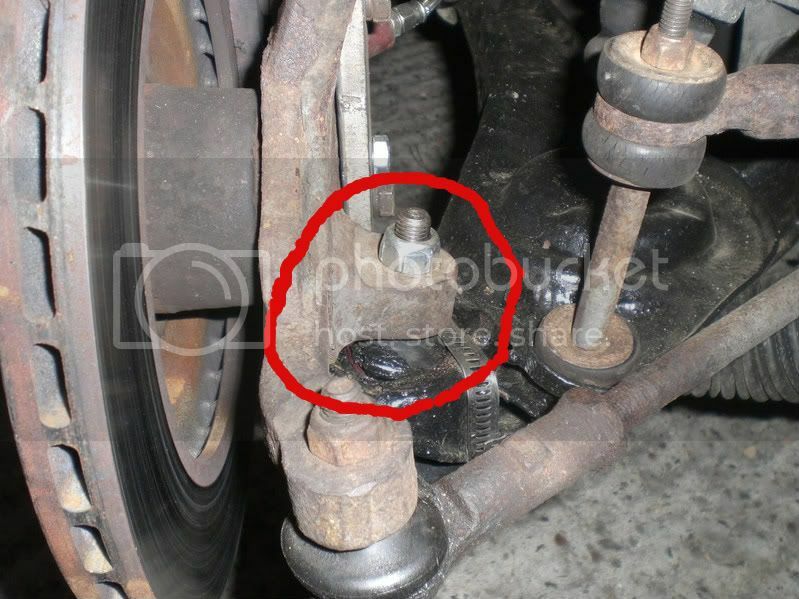 worth while checking rear trailing arms for cracks too, i had a nasty spin at 3 Sisters when a trailing arm let go. not mega high speed (bout 50mph) but so violent i had sore neck for days, hence i use a race neck brace that Paul T advised after his Porsche accident. trailing arms usually crack around the hub plate behind the drum backing plate so not easily visible. get the wheel off and then lever everything in sight with a big f**k off bar to ensure it only moves how it should. One has to ask what the light "tring" noise is that appears occasioanlly in the video? reliant-reviver wrote: One has to ask what the light "tring" noise is that appears occasioanlly in the video? With the change to inboard coilovers, no spring pressure on the lower wishbone has allowed the balljoint to slip out of the bottom of the wishbone. Cheap and easy fix. Have spoken to Craig about ways to avoid it happening again, so it should be sorted (both sides) by the time I go to Cadwell. Perhaps use something a little more substantial that a jubilee clip, though? Two good dabs of weld on the outside (bottom) will do the trick and be easy enough to remove should replacement be needed? philhoward wrote: Perhaps use something a little more substantial that a jubilee clip, though? Two good dabs of weld on the outside (bottom) will do the trick and be easy enough to remove should replacement be needed? 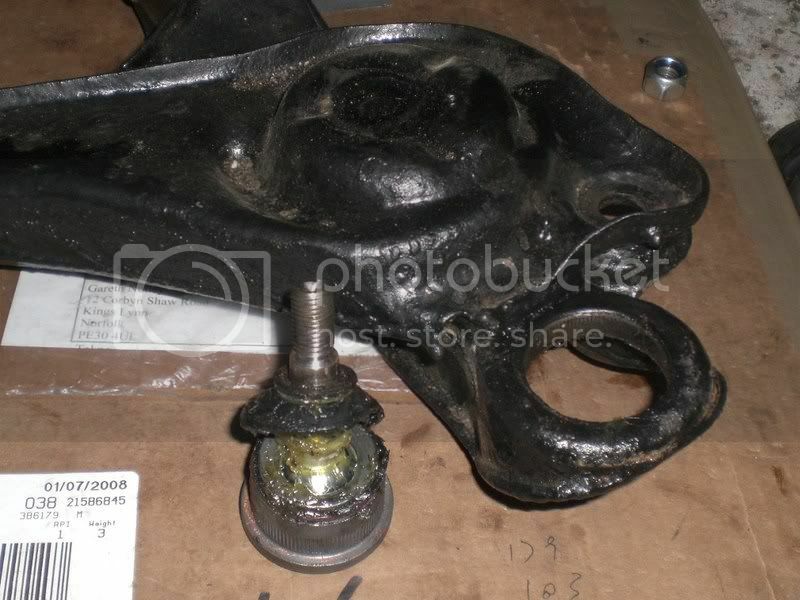 Yeah, Craig suggested 3 tacks on the balljoint itself and a retaining strap (2x20 or whatever) underneath. Belt and braces, as he put it! Of course it is the brake cooling duct..should have scrolled back a couple of pages to see it!